our chosen discipline, our supposed source of inspiration. as we checked into our fancy hotel in Savannah. what a treat, what a sight to see, what instant inspiration! flow when English majors run the show, what a sight to see, indeed. 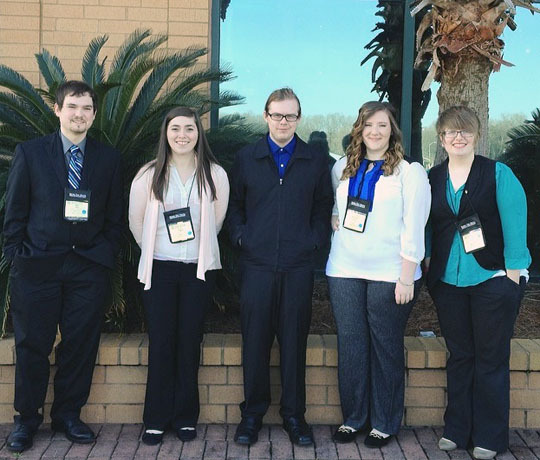 (from left to right) Ian Holt, myself, Chase Eversole (President of Alpha Omicron Epsilon Chapter), Katie Yohey, and Kaylyn Flora.